Like Leopold Bloom, James Joyce’s protagonist in the epic Ulysses, Kavanagh’s life is inconveniently influenced by his relationships with women. Bloom’s appointments and encounters on that single day in Dublin (June 16, 1904) is an unfortunate model for Kavanagh’s life in the 21st Century as a dynamic seeker of passion and intimacy with the women he finds desirable. Kavanagh and Bloom are Irish Jews, decedents of the members of small migrations from Eastern Europe that somehow found their way to Ireland, the most Catholic nation where they were welcome and lived peacefully and prospered. Kavanagh’s odyssey to find enjoyment and pleasure, centers on his time with second wife Millicent the sophisticated literary agent and lawyer, the long affair with Bianca, and his deep feelings for the beautiful, elusive and mysterious Lydia who haunts his dreams. Kavanagh’s instant attraction to Ciara the lovely Irish physician, and the puzzling relationship with Mary Lucy, a university president and Catholic nun, confuse and confound him. 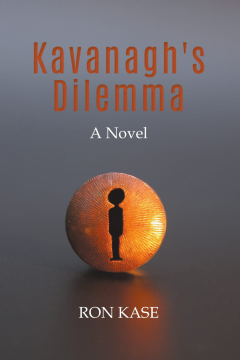 Somehow Kavanagh has successfully maintained his equilibrium as a popular professor, bestselling author, activist, atheist and acceptable parent, but he worries, for how much longer? Kavanagh isn’t Everyman, although he’s more like us than we want to acknowledge.